Wireless charging has notoriously been a hard sell for smartphones. While it can add convenience to your charging sessions and makes for one heck of an interesting tech demo (it's still hard to deny how “magical” the whole thing feels), there's also no shortage of forces working against it, from the cost of charging hardware to issues with portability. But maybe the toughest nut to crack has been compatibility. But now at the start of 2018, things are starting to look a bit better in that regard. The format wars of Qi versus PMA are long over, but maybe more importantly we're finally seeing support from Apple, the biggest and most noteworthy holdout among smartphone manufacturers. It's not some half-effort either, with the tech only constrained to the company's highest-end phone; instead, the iPhone 8, iPhone 8 Plus, and iPhone X alike all share wireless charging support. Is this the push wireless charging needs to finally go mainstream? As we await to find out, we're checking out more and more charging hardware, including the PowerPort Wireless 5 Stand & Wireless 5 Pad from accessory-maker Anker. Both the PowerPort Wireless 5 Stand and Pad are quite simple, in contrast to elaborate wireless chargers that change shape (like Samsung's latest fast charger) or even incorporate motorized parts (like the old Panasonic mat). The Pad is a simple circle measuring just under 4 inches across and about 3/8 inch thick. The Stand, meanwhile, has a 2 ½-inch square base, above which sits a 4 ½-inch-high cradle tilted back at about a 60-degree angle. Both of these are very lightweight chargers – the Stand coming in at 112g versus 67g for the Pad – and while that's fine in the case of the latter, we wish the Stand felt a little more substantial, with a weighted base that would give us a bit more confidence that it's not going to get tipped over on a crowded desk. Speaking of that feeling of security, both chargers utilize rubberized surfaces to enhance traction and keep both themselves and the phones they're charging safely in place. But while Pad and Stand alike have such a surface on their bottoms, only the Pad has something similar up top, where your phone sits. 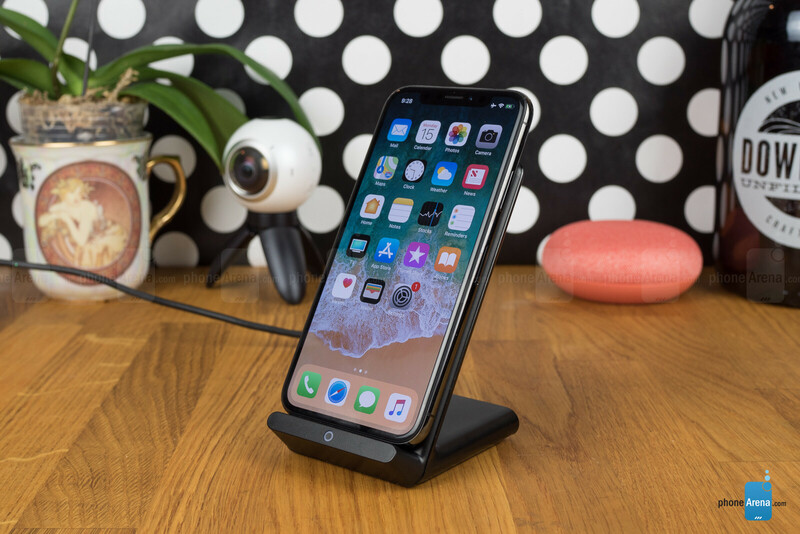 The Stand, meanwhile, has a smooth, hard-plastic surface where your phone rests – one that feels a little too slippy when used with the sort of glass-backed handsets that often support wireless charging. While wireless charging itself may be the wave of the future (we'll see, at least), both these chargers use antiquated micro-USB connectors for their power. Thankfully, both come with micro-USB cables (though neither with a wall adapter), but in a world where phones have already transitioned to USB Type-C, it feels anachronistic; hopefully Anker will catch up to progress with its next generation of chargers. Using either of these chargers is dead simple: plug them into a power source (they'll make use of up to 2A of current, though higher-rated adapters won't be a problem), sit your phone on the charging surface, and let them do their thing. Anker tries to help keep you informed of what's going on with a status LED: a quick blue flash to let you know when your charger's initially plugged in, solid blue to indicate charging, and blinking blue when something goes wrong. That's a good start, but we would have liked having even more feedback – and specifically, any indication that charging is complete, as we see on some other wireless chargers. Compatibility is near-excellent, and Anker's chargers won't have any problem working with any recent phone supporting wireless charging, Apple's models included. But that said, you're not always going to get the fastest charge possible. For instance, Samsung devices are known for supporting higher-output wireless power delivery for shorter charge times. Anker does sell a charger that works with this mode, but the two Wireless 5 models we're looking at here do not. 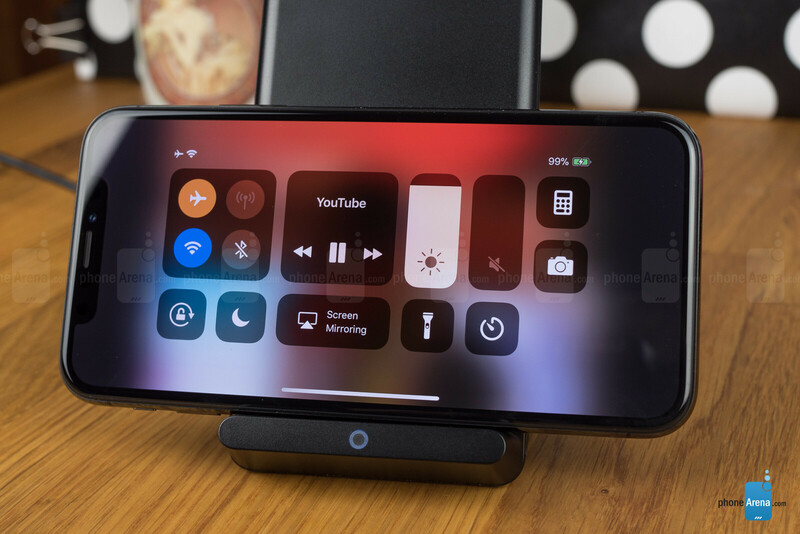 One nice thing about the Wireless 5 Stand in particular is that its coils are positioned to charge devices in both portrait and landscape orientation – the latter meaning that you can watch a video full-screen while your phone is charging. 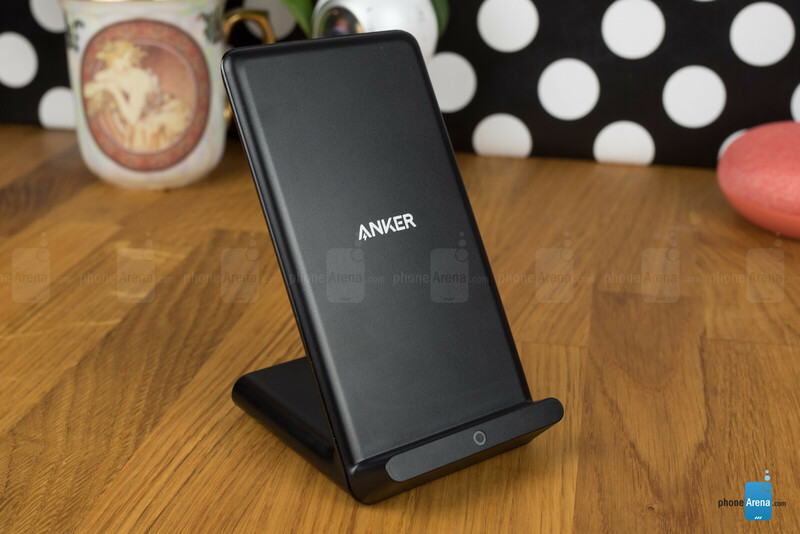 Even though the PowerPort Wireless 5 Stand and Pad don't support full-on wireless quick charging, as we just mentioned, Anker does claim that these products are “high speed” and can recharge devices up to half-an-hour faster than run-of-the-mill wireless chargers – presumably by optimizing energy transfer. 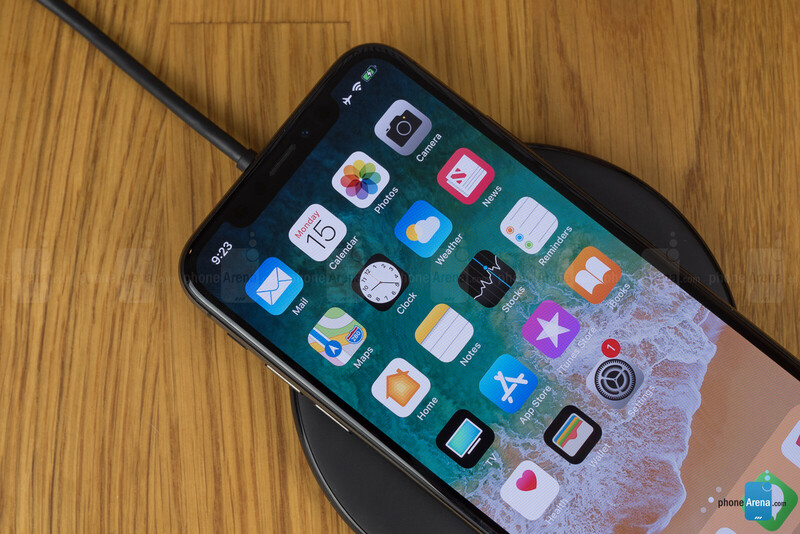 We put this to the test with a couple phones: This year's iPhone models support wireless charging, and we first paired the Wireless 5 Stand up with Apple's iPhone X. The Anker charger took three-and-a-half hours to refill the iPhone X's 2700mAh battery. That's a little slow on a pure capacity-versus-time scale, but considering that the wired charger included with Apple's phone takes over three hours itself to power the handset back up, you're not losing much time by switching to wireless charging. Curious about those “high speed” claims of shaving up to 30 minutes off recharge times, we pulled out a three-year-old iClever Qi charger to give us a point of comparison. The iPhone X once again recharged in three-and-a-half hours – exactly as long as with the Anker. What about other phones? We also ran some tests with the the LG G6, again with native support for wireless charging. As a baseline, charging the G6 with its default wired quick-charger takes just under 100 minutes – that's not bad at all, considering the size of its 3,300mAh battery. Understandably, wireless charging is going to take quite a bit longer, and using the Anker Wireless 5 Stand we clocked a recharge time of 3 hours, 2 minutes. Compared to the iPhone X, that's quite a bit quicker, especially considering the higher-capacity battery here. What about that “high speed” business, though? Would the G6 see reduced wireless charging times, even where the iPhone X didn't? Nope. Powering the G6's battery up from empty with the old iClever Qi charger took 3 hours, 1 minute – just barely under Anker's time. Could it be something about the Wireless 5 Stand in particular? While both the Stand and the Pad are rated for the same power output, could one be faster than the other? Well, with the LG G6 still out, we ran the battery down again and this time put it on the Anker Wireless 5 Pad. The phone recharged in 2 hours, 59 minutes. With just three minutes (over the course of three hours) separating the charge times of the Anker Pad, Anker Stand, and our default Qi pad, we just can't say that these Anker products are any faster than other wireless chargers. While we haven't tested every charger nor every phone supporting wireless charging in existence, and must concede there could be some cases where you really will see that half-hour advantage Anker claims, we would not recommend picking either of these chargers up with the expectation that they'll be measurably faster than their competition. Both the Anker PowerPort Wireless 5 Stand and Pad are decent wireless chargers – but that's about it. They get the job done, and offer a feature or two that elevates them slightly above bare-bones options, but are still very basic devices. On one hand, that's nice, as it allows Anker to sell them at relatively affordable price points: about $19 for the Pad, and $27 for the Stand. With the Stand, you pay extra for the convenience of its upright orientation. But while these are both pretty affordable, better options don't cost much more either. 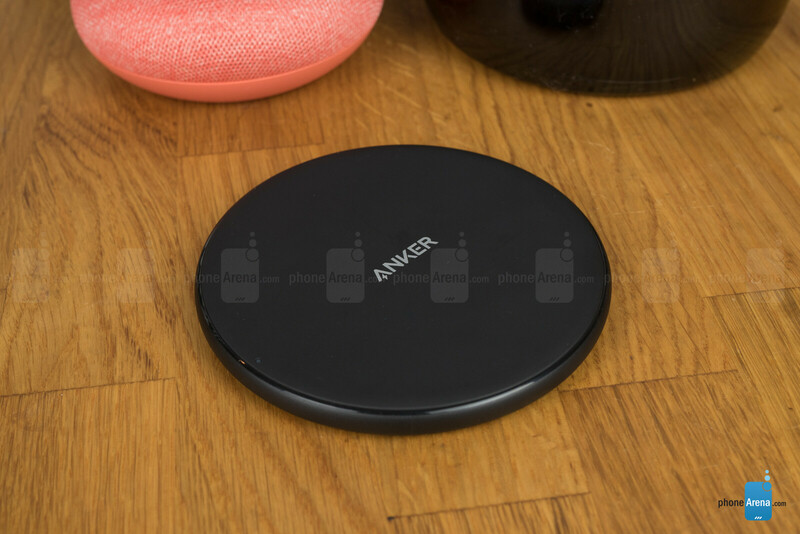 Anker's own 10W wireless charger, able to quick-charge devices like Samsung Galaxy phones, only retails for $26 – and honestly, we'd rather have those shorter charge times than the special form factor of the Wireless 5 Stand. We're also not quite sold on the Stand's lack of any kind of rubberized non-slip surface where it actually holds your phone. Ultimately, the Wireless 5 Pad is cheap enough that it makes for a good entry-level wireless charger. And if you're absolutely enamored with the 5 Stand, it's not a horrible deal either. But once we start approaching this $25 range, better options start appearing fast.